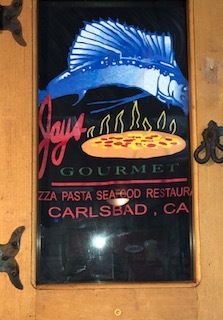 Jay’s Gourmet Pizza & Seafood – Lunch / Dinner – December 31, 2019 – Carlsbad, CA. A sweet little corner restaurant nestled in the small adorable beach town of Carlsbad. From the moment you walk in you know you are in a family establishment. Here all of the staff is family, every one of them working here over the course of many years. Their stories will truly warn your heart, and it’s all part of the overall ambiance. 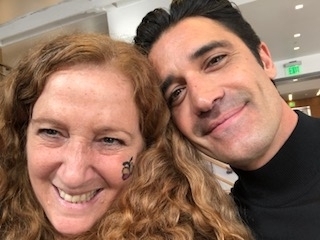 My beautiful, charming hostess, Ashley Hayden, has been working at Jay’s for over 20 years. At age 21 she started as a hostess, she left for a bit but came back, and really loves her job. They are all so close that Ashley’s best friend Courtney got her job at Jay’s through Ashley. Courtney ended up marrying owner Jay Meotamedi, and they have been married for 10 years now. Ashley’s other friend Shelly also met her husband at Jay’s, which happens to be Jay’s brother Johnny. A true family affair, but even the customers are made to feel like family when they are dining at Jay’s. 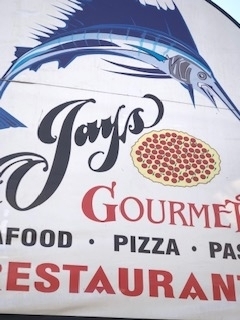 Jay has had many other restaurants in adjacent cities, but recently closed all of them and puts all of his energy into his one special original restaurant. 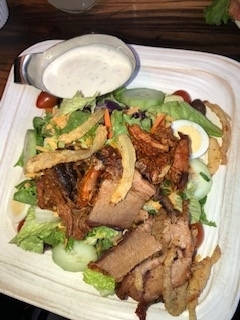 Eddie Garcia is the prep chef, and he does all of the homemade fare: like their wonderful meatballs, soups, sauces, and all of their delicious salad dressings. He also makes their bread dough from scratch. Customers know when Eddie is not there, they can tell because things taste just a bit different. Fresh Clams in a red or white wine garlic sauce. Oh my goodness, these calms are so huge, with plump tender flavors of garlic and better, a true keeper. 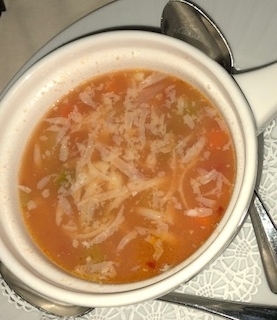 Minestrone Soup: Home made tomato based soup with fresh vegetables, beans & pasta. 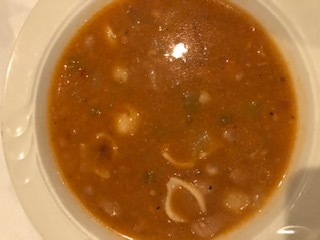 I always know that the food is going to be great by the soup, and this minestrone soup doesn’t disappoint. 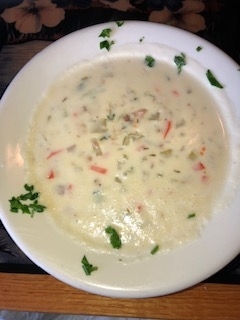 Clam Chowder: New England style with corn and bacon. A nice creamy rendition with added oregano for a real added Italian flavor. 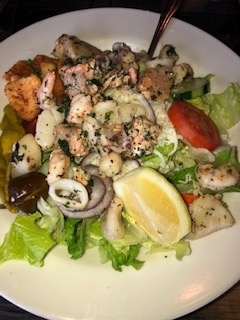 Seafood Salad: Shrimp, salmon, calamari and scallops over house salad, with creamy Italian or vinaigrette dressing. 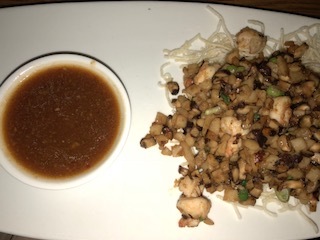 The seafood is served warm, so it’s got its own unique flavors on top of what the dressing adds as an extra creamy zest. 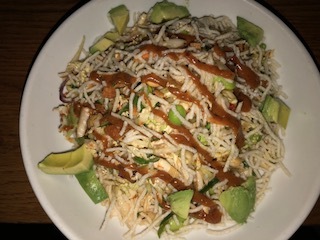 Hands down I would have to order this salad every time I would come to Jay’s. 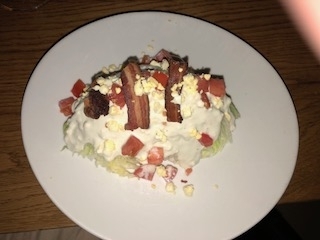 It has got everything you would want in a seafood salad. 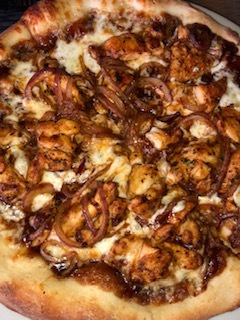 BBQ Chicken Pizza, with chicken and red onion. This pizza has a very crispy crust, with lots of BBQ sauce and moist chicken – it’s a real winner. Veal Marsala: Veal and mushrooms in a Marsala wine sauce, with side linguini in meat sauce. 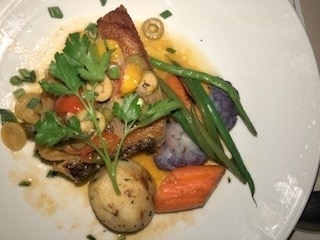 The veal is cooked very tender and the mushrooms are large and fruity, the Marsala sauce just took my breath away. 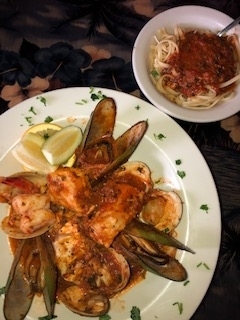 Cioppino: New Zealand mussels, clams, salmon, jumbo shrimp, halibut and crab in a savory marinara sauce with linguini. The mussels in this cioppino are huge and incredibly meaty, and the sauce is very delicate. All in all it’s a great Cioppino. 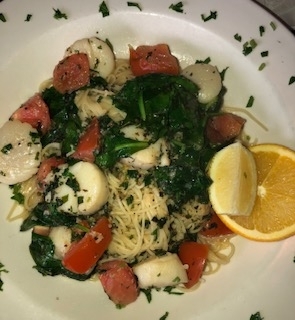 Fresh Jumbo Scallops with Sea Scallops sautéed in a white or red wine garlic sauce with spinach and fresh tomatoes over linguini. A very light garlic sauce enhances the simple taste of the scallops. 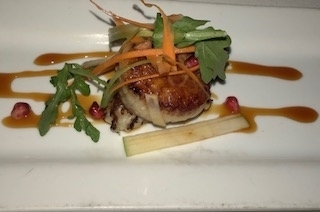 If you’re a scallop lover like I am, order this dish – it’s amazing! Meat Sauce, with home made meatballs or sausage. 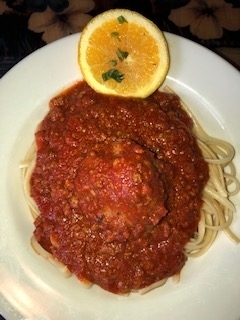 The meatball has such great consistency and flavor, very much comfort food. Pasta Ala Pesto: Pesto, Romano cheese, sun dried tomato, and pine nuts over pasta. This is so different then what you would expect. It is a creamy pesto, and the sauce is not super green like a typical pesto sauce, but that doesn’t matter because it is terrific. Crème Brulee: Nice little fresh raspberries make this one the best of the best list. It is remarkably creamy and delicious. 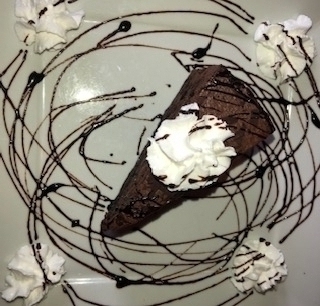 Triple Chocolate Cake: Layers of rich chocolate goodness make this an extremely decadent dessert that Jay’s offers. Try it, you will be very happy. 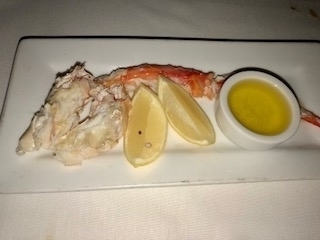 Normally I do many wines as pairings with my meal, but since this was a daytime tasting and I had to drive 2 hours directly after, I ordered a simple glass of Chardonnay. However, they do have a nice variety of wines to choose from. 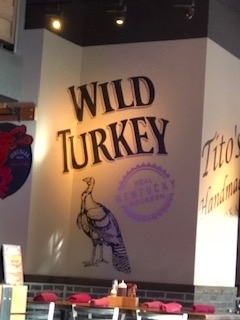 The atmosphere is funky, clean and cozy, kind of like a home away from home. 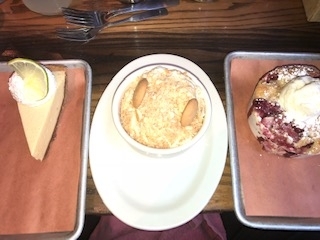 Surfboards adorn the walls, with a fun chalkboard describing their desserts. They have no refrigerators because everything is fresh every day. 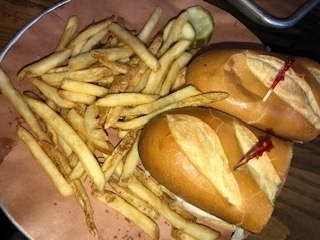 You can taste how fresh the food is with every glorious bite. 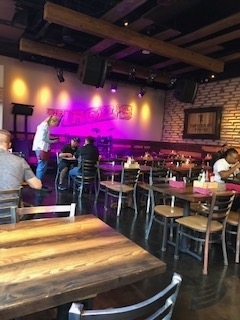 On any given day you will see celebrities – they come in to eat and get away from the craziness of Hollywood, but still do get noticed. 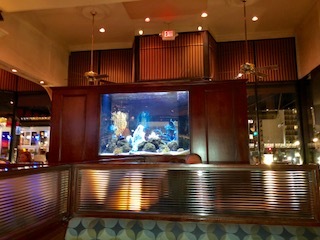 John Cena has been seen eating a great seafood meal here. Customers are locals, as well as tourist folks who come here from Arizona; they come to escape the heat. They also get many people from the close-by Carlsbad Hotel. 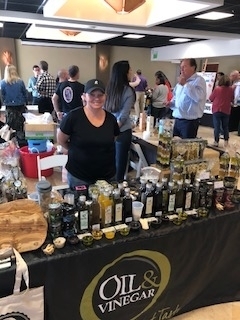 Ashley talked about how the neighborhood has changed, and that 6 new restaurants have recently opened. 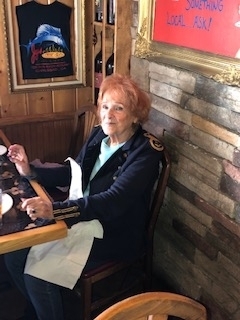 But, she says that her base customers go and try the new kids on the block, but always come back for Jay’s perfect seafood menu items. I just loved this little Gem in the heart of Carlsbad. 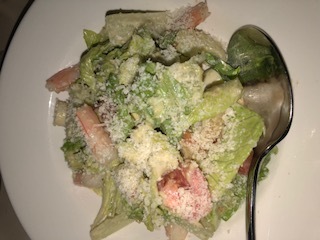 It has everything you would want from an Italian Seafood Restaurant, including heart, fantastic food, and charm. It will become one of my staples when I am visiting North County, San Diego. 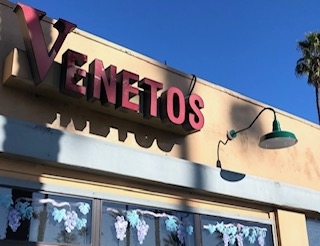 Veneto’s – Lunch/Dinner– December 30, 2018 – Oceanside CA. Located in the historical part of Oceanside, on California US Route 101 (AKA Coast Highway) lays a true original. 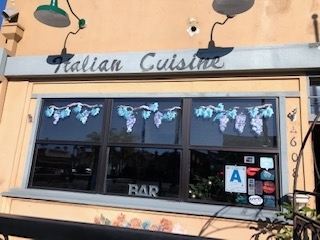 It boosts delicious authentic Italian food right in the heart of one of America’s most popular surf destinations, so close to the ocean you can see it from the street. Even though the food here is stellar, the real treat is meeting restaurateur Pino Bottalico. 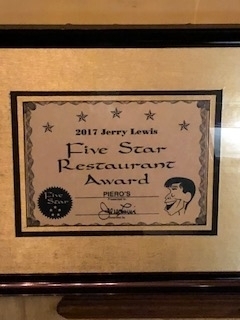 Pino is no stranger to the culinary world having run popular restaurants for the last 30 years. He got his start from his father at the young age of 8 in the Southern region of Italy. 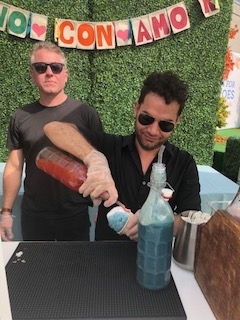 Pino hails from Puglia, Italy; at 19 he made his way to Florida and landed a job at Alfredo’s in the Italian Pavilion of Disney’s Epcot in Orlando. 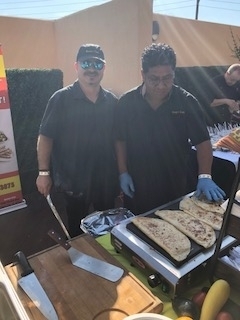 After a brief stint back in Italy he came back and continued his culinary career in Encinitas by opening Pino’s, then worked at Tuscany in La Costa and Il Fornaio. 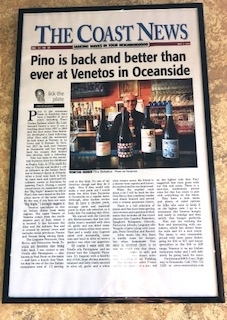 Pino was featured in 2 magazines recently; Mainstreet Oceanside, and The Coast News. 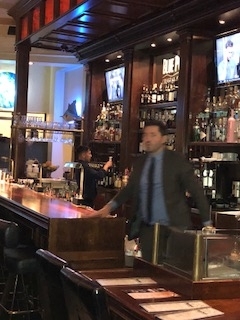 Veneto’s has been opened for 14 months. 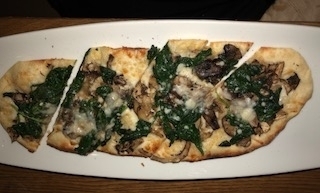 Veneto’s specializes in classic dishes from many regions in Italy. The name Veneto or Venetia comes from the northeastern part of Italy where it is located, between the Alps and the Adriatic Sea, Venice and Verona being among them. 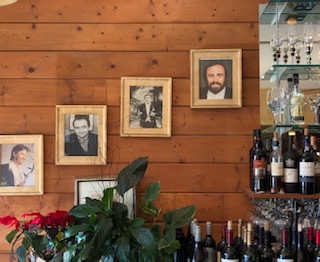 Pino is in touch with the community and what Veneto’s old customers want to keep as their tradition. 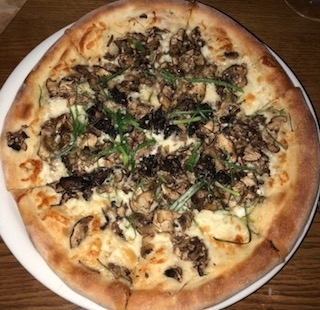 Pino is keeping Veneto’s fresh and exciting, has live music on the weekends and a wine tasting on Tuesday. 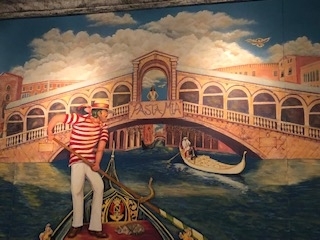 The interior is cozy and quaint with a lovely mural of a Venice canal neighborhood (having been there I recognized the area). They play a variety of great music: from Frank Sinatra, Opera, to Nat King Cole, they have it all covered. There was a nice bar scene during their lunch hours as well, tourists, military and locals alike, enjoying their food and friends. 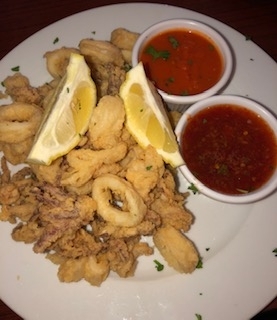 Thai Calamari: Lightly breaded squid, cooked to a crispy golden brown, tossed with a sweet chili sauce. 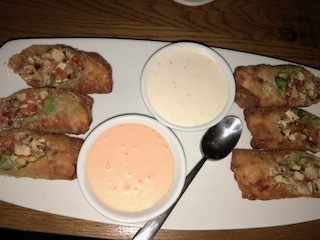 These little darlings came with both a nice marinara sauce, and a delicious Thai sweet chili, both sauces were killer. 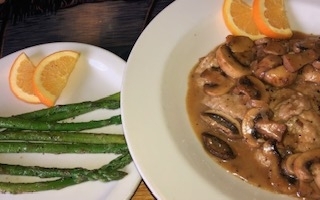 Funghi Alla Padella: Sautéed seasonal bottom mushrooms in Marsala wine sauce, plump mushroom with an amazing sauce, just the ideal way to start my wonderful meal. Garlic Knots, Served w/ marinara sauce. These knots are just scrumptious with lots of great garlic flavor, a perfect accompaniment. 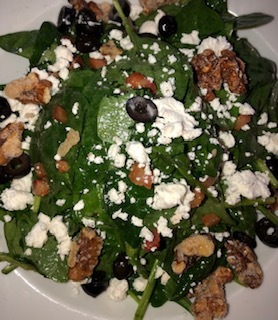 Insalata Di Spinaci: Baby spinach, goat cheese, olives, walnuts & crisp pancetta in warm pancetta Italian dressing. The dressing is tangy and the pancetta is hearty, just a nice spinach salad. 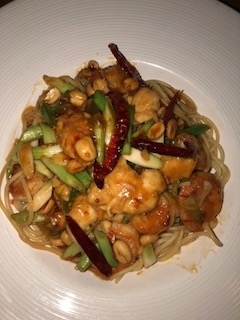 Seafood Linguini: Lots of perfect seafood tossed in a wonderful light red sauce, every bite cooked delicately, with nice tomato nuances. Fettuccini Alfredo: Flat slender noodles sautéed in a rich cream sauce. Oh there is nothing better then a super creamy Fettuccini Alfredo, one of my most favorite pasta dishes. 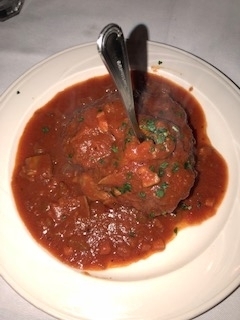 Osso Bucco: Tender Veal Shank, braised vegetables in a tomato white wine sauce, served over creamy Parmesan risotto. This dish is just like a Jewish Grandmother’s stew but Italian. 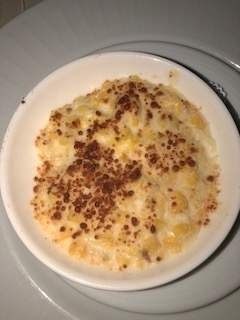 It is the same type of warm yummy comfort food, and the risotto is the perfect addition. Stuffed Eggplant Florentine: Fresh marinated eggplant stuffed with ricotta cheese spinach and Italian herbs. Baked and topped with melted mozzarella cheese and marinara sauce served with penne ala vodka. 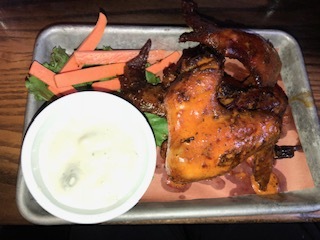 Another super fantastic dish, with all of the right seasonings, cooked to perfection. 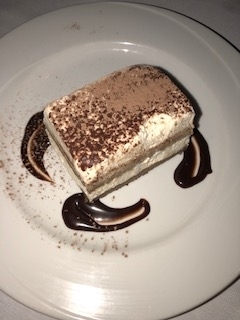 Homemade Tiramisu: Layers of ladyfingers cookies and sweet creamy coffee inspired whipped cream, served with a drizzle of syrup. 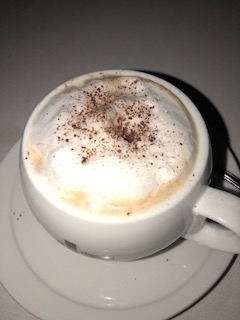 A large healthy piece packed with all of the creamy coffee goodness you would expect, but just a touch more elegant. Cannoli: Crunchy cannoli shell stuffed with a sweet, creamy, chocolate chip filling. This for me was the cat’s meow. 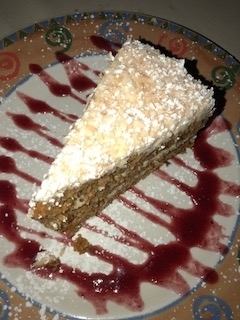 The filling is what I really loved, yum! I had a couple nice glasses of Chardonnay to taste, but because it was a daytime tasting I did not do my usual extended wine pairing. Their wine list is very good for single glasses. I had a glass of Josh, Craftsman’s Collection. 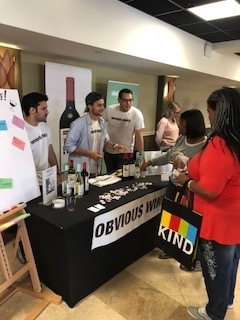 They have a well-rounded list of wines to choose from. 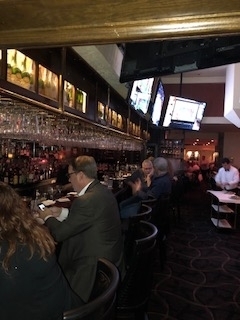 When the word gets out about the great food at Veneto’s it will be a hard place to get into, so get there now! 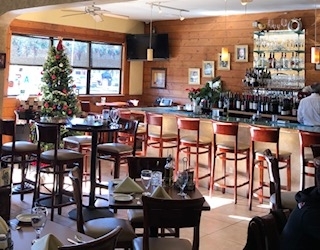 This place is a keeper; in this fun beachside community you can have perfectly authentic Italian cuisine that is fresh and affordable. Mangiamo. 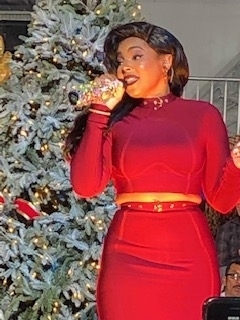 The 87TH Annual Hollywood Christmas Parade – November 25, 2018 – Hollywood, CA. 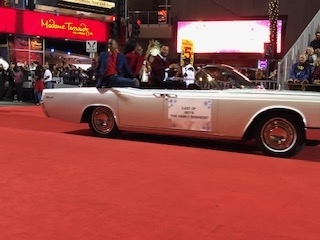 The 87th Annual Hollywood Christmas Parade will be hosted by Erik Estrada, Laura McKenzie, Dean Cain and Montel Williams, featuring Marine Toys for Tots with Nancy O’Dell as this year’s Grand Marshall, with special co-hosts Elizabeth Stanton and Garrett Clayton. 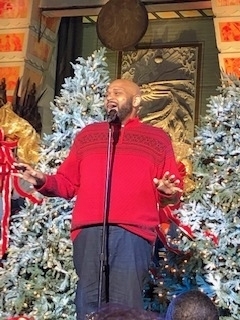 Taped for network television, the live event will premiere as a two-hour special on The CW on Friday, December 14 at 8:00 p.m. ET / PT (7:00 p.m. CT). 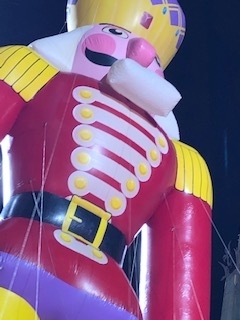 The Marine Toys for Tots program, which is essential in providing gifts to less fortunate children everywhere, will also air to more than one million American service men and women worldwide on American Forces Network. 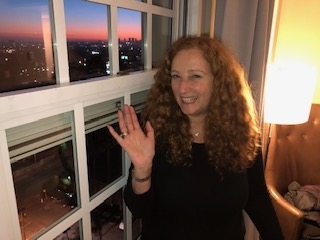 The event will be presented and produced by Associated Television International, in association with The City of Los Angeles. A true Hollywood yearly tradition, the parade attracts more than one million in attendance each year, with larger than life inflatable character balloons, award winning bands, colorful equestrians, ornate floats, popular characters/novelties, celebrity filled cars and, of course, Santa Claus making the much heralded trek down the over three mile parade route. 12 Pre-Parade Concert Performers: THE TEARAWAYS (Singing “Stuff Your Stocking”), THE BAND OF MERRYMAKERS (Singing “Christmas Everyday”), MAGICIAN ED ALONZO (Star of The CW’s Primetime Hit Show, Masters of Illusion), MIKALAH GORDON (Singing “Mary Did You Know”), BLAKE LEWIS (Singing “God Rest Ye Merry Gentleman”), CLARE DUNN (Singing “More” and “O Holy Night”), ELLIOTT YAMIN (Singing “This Christmas”), KIMBERLY CALDWELL-HARVEY (Singing “All I Want For Christmas”), DAVID ARCHULETA (Singing “Christmas Everyday” and “Holly Jolly Christmas”), ASHANTI (Singing “Let It Snow”), RUBEN STUDDARD (Singing “Every Year, Every Christmas”), RIPLEY’S BELIEVE IT OR NOT! 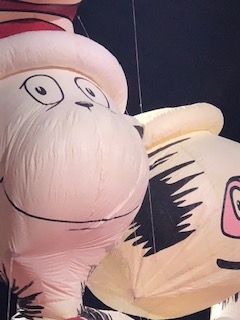 (Special Performance). 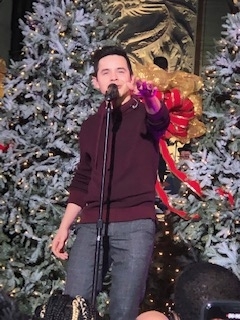 4 Additional Appearances (Telecast Only): DONNY AND MARIE OSMOND, THE BEACH BOYS Performing Mike Love’s new single “(You’ll Never Be) Alone on Christmas Day”, JANE LYNCH, KATE FLANNERY and TIM DAVIS, LUDACRIS Special Tribute To Marine Toys For Tots. 5 Live Parade Performances: THE CUBCAKES CREW (Youth Dance Group from Los Angeles, CA), CELTIC IRISH DANCE ACADEMY (Burbank, CA),TRINITY VALLEY COMMUNITY COLLEGE CADETTES (Athens, TX),CAMP BROADWAY (Award-winning youth theatre company from Venice, CA), 34TH & PHUNK (Skilled Hip-Hop Dancers from across the country). 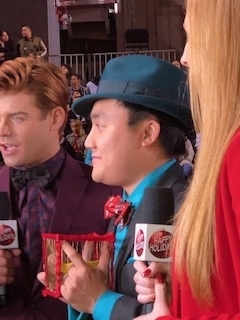 2 Street Performers: Magicians JIBRIZY and NAATHAN PHAN, Stars of The CW’s Primetime Hit Show, Masters of Illusion, will be performing Christmas Street Magic for Grandstand Ticket Holders). 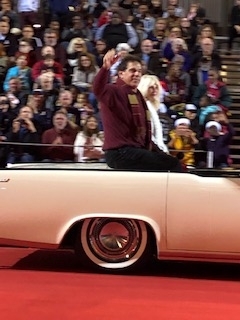 4 Parade Hosts: ERIK ESTRADA, LAURA MCKENZIE, DEAN CAIN and MONTEL WILLIAMS. 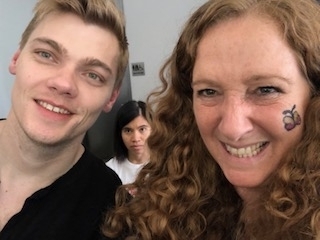 Parade Co-Hosts: ELIZABETH STANTON and GARRETT CLAYTON. 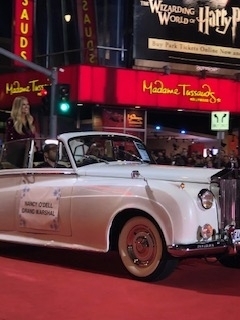 Grand Marshal: NANCY O’DELL, Grand Marshal, The 87th Annual Hollywood Christmas Parade Featuring Marine Toys For Tots and Entertainment Tonight Television Icon. 114 Award-Winning Bands From Around The Country: Marine Band San Diego with U.S. Marine Corps Color Guard (“Hooray For Hollywood” and “Marine Hymn”),Thomas Jefferson High School Jaguar Marching Band (Bloomington, MN),Korean American Youth Performing Artists (KAYPA) (Chino, CA), Carrollton Trojan High School Marching Band now celebrating their 70th Anniversary (Carrollton, GA),The Salvation Army Band (Los Angeles, CA), O’Fallen Township Marching Panthers (O’Fallen, IL), Habersham Central High School Band (Mt. Airy, GA), Northwest Guilford Marching Viking Band (Greensboro, NC), Pacific American Volunteer Association World Traditional Korean Marching Band (PAVA World, Los Angeles, CA), El Roble Intermediate School Marching Band and Color Guard (Claremont, CA), Los Angeles Police Emerald Society Pipes and Drums (an Irish pipe band from Los Angeles, CA), Summit High School (Fontana, CA), Chatfield Senior High “Charger” Marching Band (Littleton, CO), Los Angeles Catholic Schools Band (Torrance, CA). 4 Equestrian Units: Knott’s Merry Farm (Buena Park, CA) with Snoopy, Charlie Brown and Lucy with spokesperson Tim Klega, Express Employment Professionals Present The Express Clydesdales, Broken Horn Ropers (Sponsored by The Broken Horn Saddlery of Baldwin Park, CA),Majestic Acres (Ramona, CA). 50 Characters/Novelties: United States Marine Corps Color Guard, 36 Movie Picture Cars Supplied by Nate Trumans’ Star Center, including: Barmobile with original Robin (Burt Ward), Green Hornet (Black Beauty), CHIPS Motorcycles, Covertte Summer, MAGNUM PI Ferrari, Griswold’s Wagon Queen Family Truckster, TRUE ROMANCE, PIZZA PLANET Truck, Cars Francesa, BACK TO THE FUTURE Deloreon 1, 2 and 3, Marty McFly Toyota Dream Truck, Highway Patrol, MAYBERRY RFD Police Cruisers, STARSKY & HUTCH, DUKES OF HAZZARD, SMOKEY & THE BANDIT, HERBIE THE LOVE BUG, HERBIE, BLUESMOBILE, BAYWATCH Lifeguard Truck (Ski-Doos), KNIGHT RIDER Kitt, KNIGHT RIDER Karr, Mustang Kitt, TEENAGE MUTANT NINJA TURTLE Van, Rad Truck, TRANSFORMERS Bumblebee Original, Bumblebee 2, ITALIAN JOB Mini Cooper, FAST AND FURIOUS Jezebelle, AUSTIN POWERS Shaguar, SCOOBY DOO Mystery Machine, JURUASIC PARK Jeep, JURRASIC PARK Explorer, Sci-Fi UFO/Gotham Patrol Car, United States Air Force Color Guard, P51 Mustang and F16 Mini Jets with Lieutenant General John F. Thompson, GUMBY with Joan Clokey, 501st Legion & Rebel Legions including 189 Characters, Ripley’s Believe It or Not! (celebrating their 100th Anniversary) with Spokesperson Sabrina Sieck and 109-Year-Old Man, Art Jensen), Esporesto.com Porsche, The Salvation Army VW Bug, Aquarium of the Pacific, Trolley with International Visitors Council Friends of Sister Cities , Masha and the Bear with Kaitlyn McCormick. 14 Floats: Nebuta Marching Unit and Nebuta Float inspired by the popular Nebuta Festival of Aomori Prefecure, one of the largest and most famous festivals in all of Japan that dates back hundreds of years,The Way To Happiness with Kerri Kasem (Producer, Writer, Radio Personality and Daughter of the late legendary Casey Kasem), The Hanart Chinese Latern Festival, Santa Claus and His Reindeer, ushering in the holiday season, accompanied by two United States Marine Corps escorts, Lieutenant Colonel Matthew McDonald and First Sergeant Bill Holodnak. 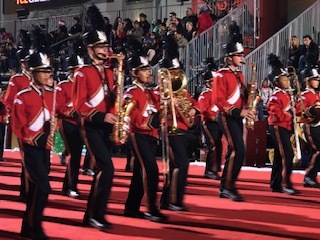 16 Parade Sponsors: Marine Toys For Tots, which collects and distributes toys bringing annual holiday cheer to young children worldwide, The Salvation Army, founded in 1865, which has brass bands in worldwide regions known for their charitable work, Ripley’s Believe It or Not! – Hollywood now celebrating their 100th Anniversary of everything odd, unusual or just plain weird, Masha and The Bear, the animated television series created by Oleg Kuzovkov, starring Kaitlyn McCormick as the English voice of Masha, Easy Choice Health Plan offering a variety of 2019 Medicare Advantage plans , GUMBY – Joan Clokey of Clokey Productions/Premavision Studios carries on Gumby’s 60-year legacy created by Art Clokey, Esposito Porsche Restoration helping you achieve the body you always wanted, Hanart Chinese Lantern Festival now at the Pomona Fairplex through January 6, 2019 with 1000 larger-than-life lanterns, Carvana, where you can buy your next car 100% online, Banc of California, Express Employment Professionals, putting a million people to work annually Present The Express Clydesdales, an eight-horse hitch with each horse weighing 2000 pounds, standing 20 hands high, Aquarium of the Pacific in Long Beach, CA, now celebrating its 20th Anniversary as a non-profit dedicated to ocean conservation and education, Torrey Pines Bank, Los Angeles Nebuta Marching Unit and Float inspired by the popular Nebuta Festival of Aomori Prefecture, one of the most famous festivals in Japan, CalPrivate Bank, Knott’s Merry Farm, celebrating the Merry Christmas, Snoopy! 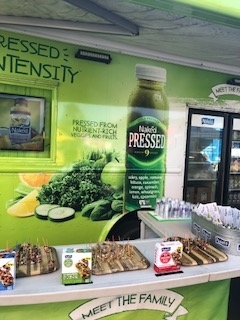 5 Media Sponsors: The CW Network, Entertainment Tonight , Variety , KOST 103.5 FM, POPSTAR! 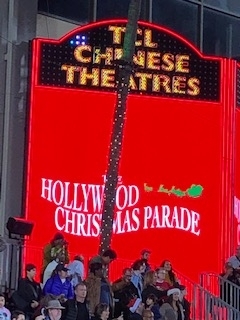 2018 marks the historic 87th Anniversary of the Hollywood Christmas Parade, an American tradition. 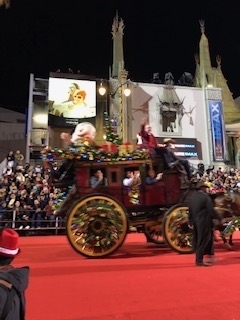 The parade is produced by Associated Television International and presented in association with The City of Los Angeles on the streets of Hollywood, CA on Sunday, November 25, 2018. 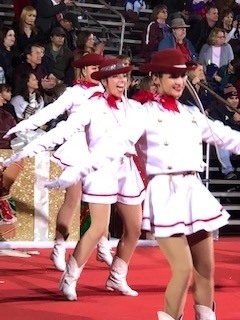 The Pre-Parade Concert is from 5:00 – 6:00 p.m. 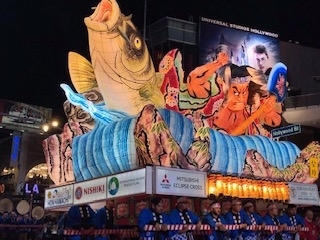 The Parade is from 6:00 – 8:00 p.m.
During the Red Carpet Arrivals Council member Mitch O’Farrell will present Grand Marshall Nancy O’Dell with a Certificate of Recognition on behalf of The City of Los Angeles. 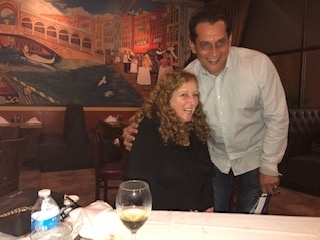 Parade Co-Hosts, Erik Estrada and Laura McKenzie will present an award to Author Services, Inc. recognizing their 10th Anniversary of hosting the parade and their 10th Anniversary of Stories of the Golden Age, which kicked off at the parade 10 years ago. 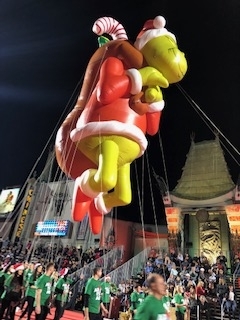 The 87th Annual Hollywood Christmas Parade Featuring Marine Toys For Tots will premiere as a two-hour prime time special on The CW Network on Friday, December 14, 2018 at 8:00 p.m. ET/PT (7:00 p.m. CT) and will be seen on Hallmark after The CW broadcast. 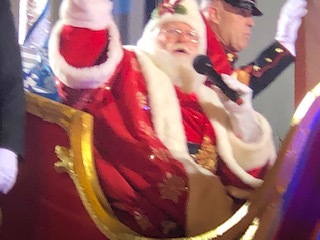 The parade will also air to more than one million American servicemen and women worldwide on the American Forces Network at 12-Noon on December 25, 2018, Christmas Day. This parade always gets me ready for the festive holiday season, with all of the joy and merriment. It just kicks the holiday season into full happy mode for me. It would not be the same if I didn’t attend. I just love everything that the parade has to offer. 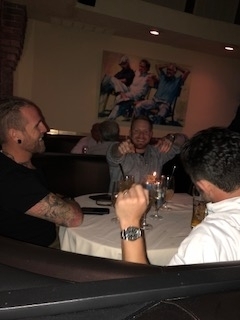 Dinner – Pasta Mia West – November 7th, 2018 – Las Vegas, NV. 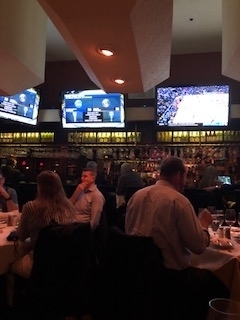 A little gem of a restaurant, Pasta Mia is in the middle of Sin City, with its two locations; this is one dining experience you don’t want to miss! Pasta Mia West is nestled in a mini strip mall on the West side of Las Vegas. 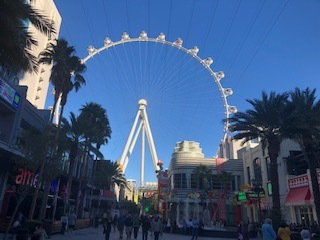 Far enough away from all of the hustle and bustle of the noisy strip, yet close enough to schmooze with the locals – a unique experience, one that I really enjoyed! 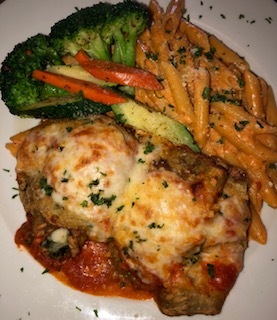 Pasta Mia West has excellent authentic Italian food with all of the bells and whistles that you would expect from a big city like Las Vegas. Prosciutto Ham with Parmigiano Cheese – a delightful appetizer, with a delicious array of cheese and prosciutto. 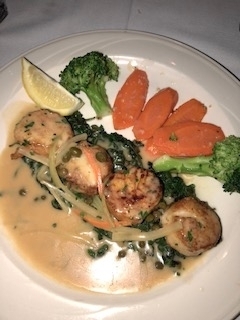 Sea Scallops served with seasonal vegetables – Big fresh bay scallops, with a sweet light lemon sauce, terrific! 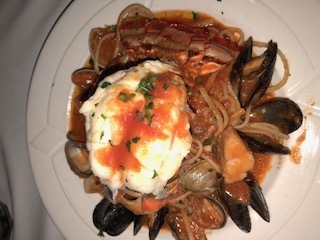 Pasta Portofino, with Clams, Mussels, Calamari, and Lobster on a bed of Spaghetti and marinara – I just loved this dish, it had a lovely amount of fresh seafood in a very flavorful red sauce. All of the clams, mussels, and shellfish just popped in your mouth. 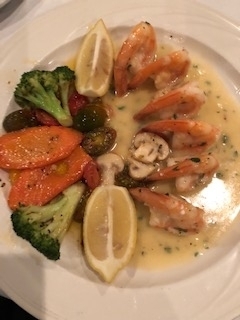 Scampi Shrimp in Garlic, Butter Sauce – another great dish filled with nice light garlic flavors, in a balanced butter sauce. 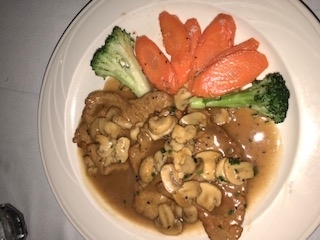 Veal Marsala, Tender Veal breast with sautéed mushroom in a dry Marsala wine sauce – The veal is super tender with a sweet mushroom Marsala sauce that hit the spot. 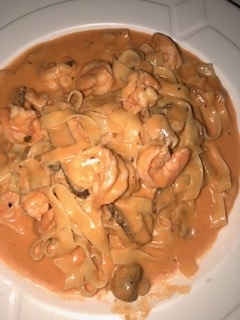 Fettuccine Shrimp & Mushrooms, Pink Creamy Alfredo Sauce, with Porcini Mushrooms – The porcini flavor adds a subtle nuance to this delicious pasta dish, and the shrimp are butterflied and just spectacular. 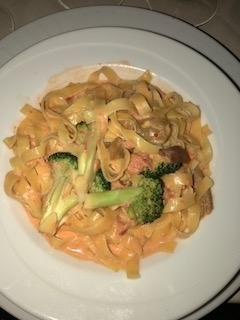 Italian restaurants attempt to do this the traditional way, but Pasta Mia succeeds with flying colors. 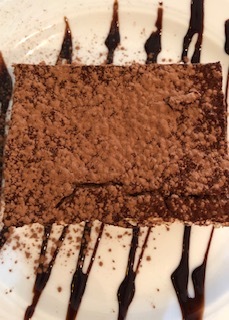 Tiramisu, Mascarpone Cheese, Espresso, Rum, Lady Fingers, and Cocoa – This dessert is so smooth and delicious, just spectacular. Chardonnay, Meridian, Santa Barbara, CA. 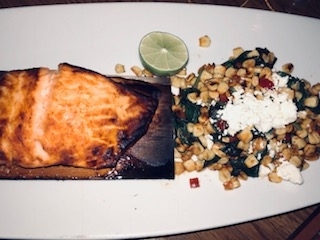 About The Chef: Chef-owner Armando Martinez has been a notable chef in the Las Vegas area for over 29 years. 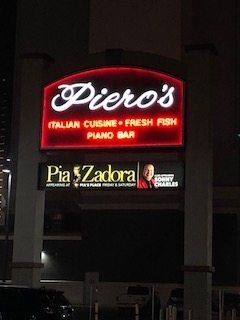 As one of the openers for the famous Piero’s Italian Restaurant, he has served his old world Italian pasta dishes to some of the world’s most iconic celebrities, including Celine Dion, Andre Agassi, and Brooke Shields. 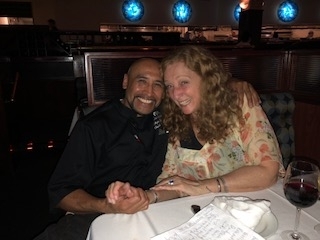 Splitting his duties as chef and owner of Pasta Mia West, chef Armando has been celebrated in the Las Vegas area since opening his restaurant more than two decades ago. 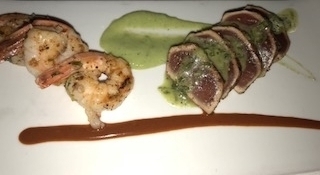 Chef Armando is a winner of the Award of Excellence and is also a Five Star Award Winner. 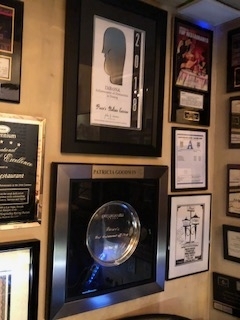 Pasta Mia is truly an award-winning Northern Italian cuisine. 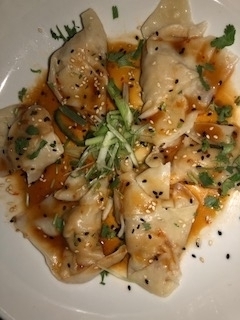 Having stood the test of time in a city that sees restaurants come and go, Pasta Mia West continues to draw rave reviews for its Northern Italian cuisine, especially its pasta. Linguine with fresh mussels, lasagna Bolognese, and a multitude of other pasta masterpieces stand out here. Crisp linens set the tone for an elegant dinner, while a garden patio waits to whisk guests away from the noise and random downpours of confetti that beleaguer the Strip. My meal was so fantastic; every little ingredient was fresh and perfect. 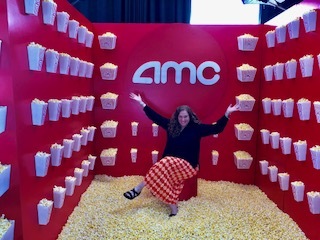 I was so happy to be here. This is what I call a hidden gem, a spot that someone has to take you too, but luckily I found Pasta Mia on my own. 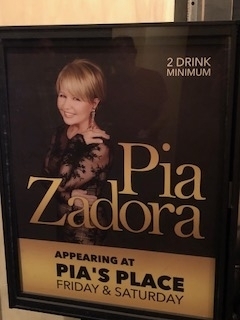 I would go every time I am in Las Vegas it is just that good! 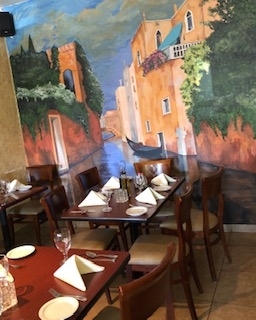 The interior is very basic Italian, with hand-painted murals of the iconic Rialto Bridge in Venice, the perfect spot for a portrait or selfie. But you’re not at Pasta Mia for the ambiance; the cuisine is the real winner here. 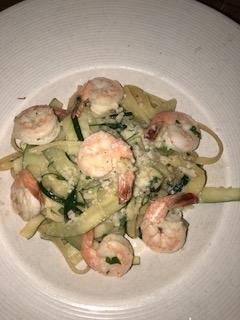 “Rated Excellent” – Zagat, Award of Excellence Winner, Five Star Award Winner, “Pasta Mia’s food is so good, you’ll finish the huge portions even if you don’t want to”! Heidi Knapp Rinella – Las Vegas Review – Journal. 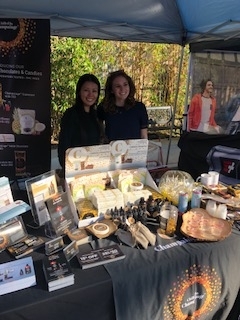 Sunday – October 28, 2018 – Elizabeth Glaser Pediatric Aids Foundation Celebrates It’s 30th Anniversary With Annual A Time for Heroes Family Festival – Smashbox Studios – Culver City, CA. Elizabeth Glaser Pediatric AIDS Foundation celebrated 30 years with their annual A Time For Heroes Family Festival. 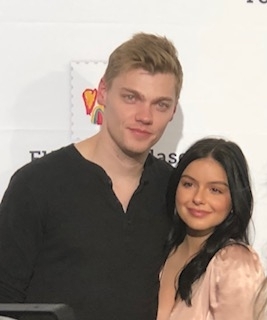 Olivia Munn, Ariel Winter, Gilles Marini, Jonathan Rhys Meyers and Sarah and Erin Foster were some of the notable celebrities who came to show their support by attending the family festival. A Time for Heroes raises critical funds needed to end AIDS in children. Since its inception in 1990, the event has raised more than 35 million dollars toward its goal of creating a world where no child has AIDS. 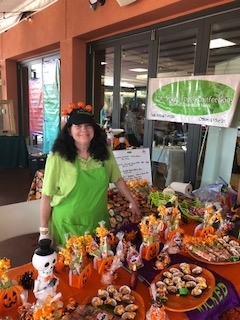 Celebrity guests and supporters enjoyed delicious food from top local eateries, games for all ages, and high-energy entertainment. 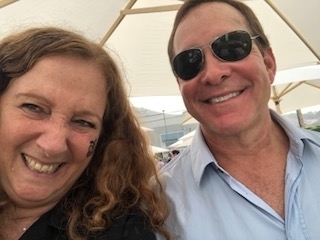 The festivities kicked off at noon and included a day of fun for both celebrity attendees and Angeleno families alike. 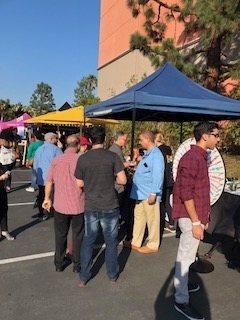 Guests enjoyed carnival activities such as hula hooping, life-sized jenga, a virtual reality booth, painting, DIY cookie decorating, and more. 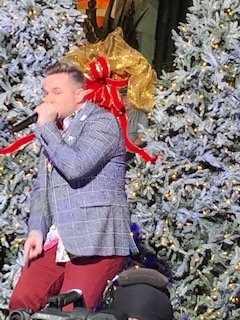 The day was capped off with an upbeat performance by HIV-positive Danish singer, Thomas Muchimba Buttenschøn. 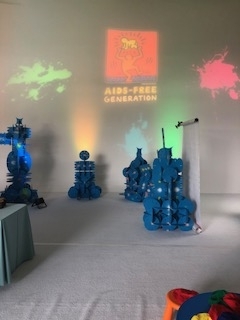 The global leader in the fight to end AIDS in children. EGPAF supports over 1 million people worldwide, including nearly 70,000 children, on life-saving medications. Operating at over 5,000 sites in 19 countries around the world, EGPAF has reached more than 27 million pregnant women with services to block transmission of HIV to their babies. This work has prevented over 300,000 pediatric HIV infections since 2004. The 2018 Heroes Host Confirmed Committee: Adam Irigoyen (The Fosters), Ali Landry (Actress), Alison Sweeney (Days of Our Lives), Andy Allo (Singer), Ariel Winter (Modern Family), Aubrey Anderson Emmons (Modern Family), Bryan Geenberg (Actor), Courtney Cox (Cougar Town), Christine Taylor (Arrested Development), Chuck Liddell (UFC Fighter), Dustin and Lisa Hoffman (Actor), Erin Foster (Barely Famous), Fatima Ptacek (voice of Dora on Dora the Explorer), Forrest Wheeler (Fresh off the Boat), Gilles Marini (SATC movie), Hudson Yang (Fresh off the Boat),Ian Chen (Fresh off the Boat), Jack Dylan Grazer (Beautiful Boy), Jake Short (All Night), John Salley (Sin City Saints), Jon Hamm (Mad Men), Justin Hartley (This is US), Kate Mara (Pose), Kristen Bell (Like Father), Lizzy Greene (A Million Little Things), Magic Johnson (Former NBA Player), Marisol Nichols (Riverdale), Mason Cook (Speechless), Med Donnelly (American Housewife), Mena Suvari (American Reunion), Olivia Munn (X-Men), Parker Bates (This is US), Perez Hilton (Celebrity Blogger), Randy Jackson (American Idol), Robbie Amell + Italia Ricci (The Flash), Sara Foster (Barely Famous), Sean Giambrone (The Goldbergs), Steve Guttenberg (Ballers), Tan France (Queer Eye for the Straight Guy), Tia Mowry (Me, Myself and I), Tiffani Thiessen (White Collar), Vanessa Williams (Actress and Singer). 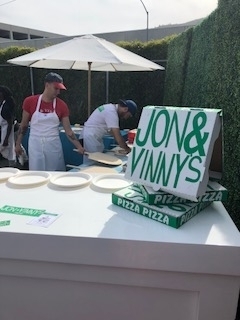 Confirmed Celebrity attendees included: Ariana Greenblatt (Stuck in the Middle), Ariel Winter (Modern Family), Aubrey Anderson Emmons (Modern Family), Chuck Liddell (UFC Fighter), Daniel DiMaggio (American Housewife), Ed Westwick (Gossip Girl), Erin Foster (Barely Famous), Faithe Herman (This is US), Fatima Ptacek, Forrest Wheeler (Fresh off the Boat), Gilles Marini (Separated at Birth), Hudson Yang (Fresh off the Boat), Ian Chen (Fresh off the Boat), Jade Pettyjohn (School of Rock), Jason Dolley (Good Luck Charlie), Jonathan Rhys Meyers (Vikings), Joshua Rush (Andi Mack), Kate Linder (The Young and the Restless), Olivia Munn (X-Men), Mason Cook (Speechless), Meg Donnelly (American Housewife), Parker Bates (This is US), Perez Hilton (Celebrity Blogger), Randy Jackson (American Idol), Raegan Revord (Young Sheldon), Sean Giambrone (The Goldbergs), Ser’Darius Blain (Charmed), Sara Foster (Barely Famous), Steve Guttenberg (Ballers), Tia Carrere (Actress and Singer). 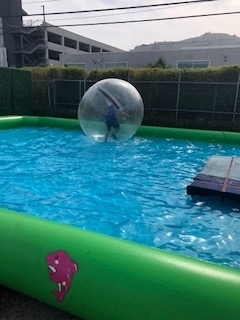 The day was so much fun, with all of the kid friendly activities, and delicious food. I turned into a kid for the day, making cardboard cats and hand painted tiles, creative and adventurous was my theme for the day, and it worked. 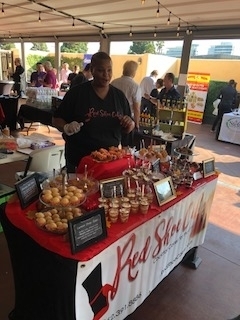 The 2nd Annual Los Angeles Westside Food & Wine Festival benefiting The Westside Food Bank. 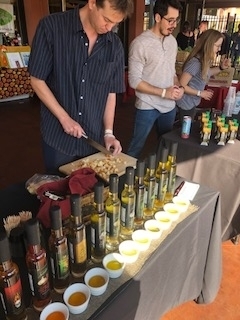 Showcasing some of LA’s best culinary talent and finest winemakers in Southern California. 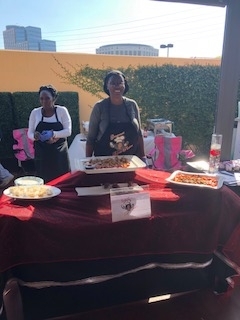 There were over 25 food, wine, beer, spirit, beer, drink purveyors and vendors providing scrumptious samples no one left hungry or thirsty from this event! 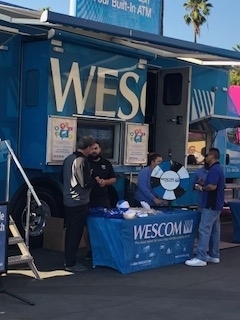 Gold Sponsors Culver City Honda & Culver City Toyota are among quite a few other great sponsors and vendors including Wescom (Big Blue Truck), T Mobile (Truck), Madmen, Renewal by Anderson, Winning Ways, Acme Sign and Design, Get Around Ride Sharing, Figo Italian Blazers/Suits. 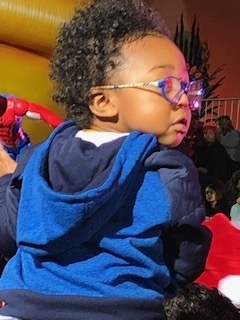 Live Music, DJ, Strolling Magic and multiple Entertainers including family friendly kid’s stuff. 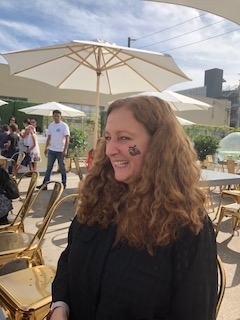 During the festival (arts & crafts, games, photo booth). There will be food, entertainment, music, sponsors, vendors and giveaways outside. LA Weekly, Yelp, LA Art Party, The Argonaut, Coast to Coast Newspaper & The Culver City News and The Culver City Chamber of Commerce were the Media Sponsors. 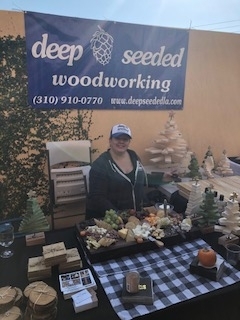 Food Vendors: Stonefire Grill, Benny’s Tacos, Fresh Brothers Pizza, Gourmet Paper Plates Catering, Marriott Hotel Catering, Deep Seeded LA, Fresh Farm to you, Distefano Burrata Cheese, My Mochi, Red Shoe Cakes, L.A. Sweet Tooth Confections, Champaine CBD desserts, Kind Bars, Go Go Squeeze, Panini Kabob (Silent Auction), and Luna Olive Oil. 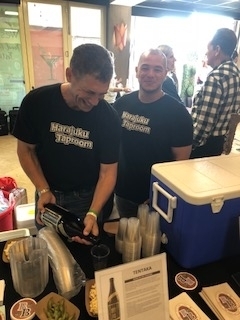 Liquor and Drink Vendors: Obvious Wines, San Antonio Winery/Riboli Wines, Smog City Brewing, Embajador tequila, Blossom Brothers Wines, The Scotch Whiskey Society, One Hope Wines, VeroVino Wines, Harajuku Taproom-Baird Beer & Sake, Botran Rum, Zignum Mexcal, My Wine Society, Wood Bottle Wines, Wine Water, Topa Chico Sparkling Water, Kevita Kombucha, Vita Coco, Naked Juice Truck, and Essential Water. 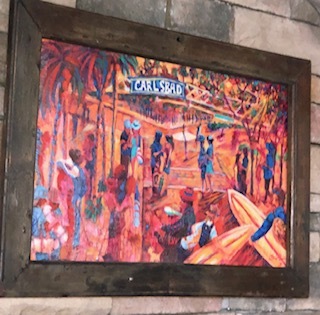 Silent Auction with art, sports, paintings, pictures and unique items to help benefit the Marvin Elliot, Todd Elliot’s father, medical bill expenses fund. 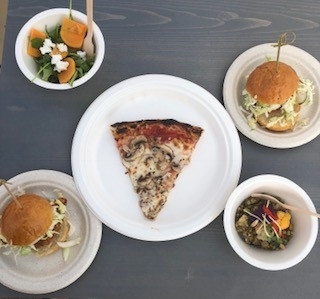 Last year’s Inaugural Festival was the Culver City Centennial Westside Food & Wine Festival. This is a great way to spend he afternoon, with delicious food, libation and wonderful people, a nice relaxing vibe. 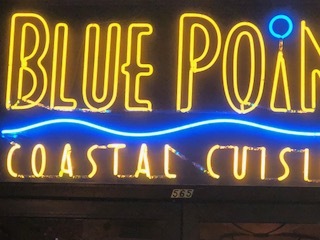 Blue Point Coastal Cuisine – Dinner Oct. 11, 2018 – San Diego, CA. This was such a wonderful experience. 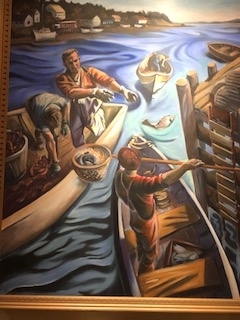 They have the freshest seafood, and everything is done with such precision and attention to detail, I just can’t say enough about this great restaurant. 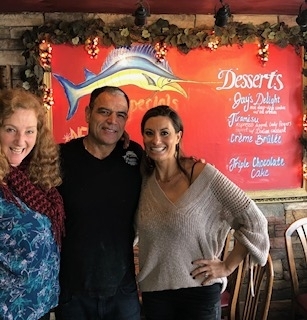 Owned by David and Leslie Cohn, they have 24 total restaurants in Southern California. But Blue Point Coastal Cuisine was meant to be a fine dining, all sustainable, seafood experience in the Gaslamp district, and they have succeeded. 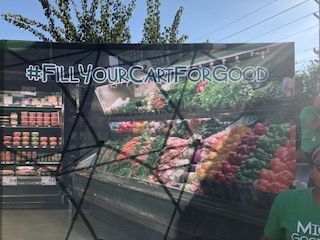 They really go above and beyond, and want to make every customer happy, so that they come back for more. 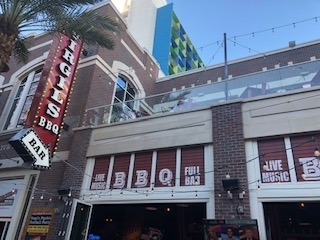 This corner spot on 5th Ave., in the Gaslamp district, has such great street views of all of the partygoers that entertaining you while you are doing. 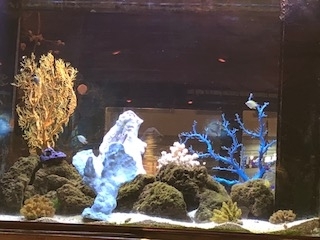 The interior has a large aquarium which adds to the over all ambiance. Ceiling fans and large sconce type drop fixtures make for an elegant interior. The music is all about romance, with nice ballads. 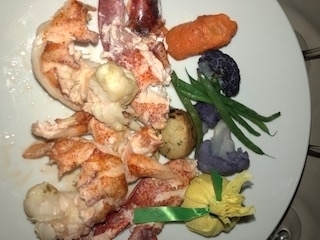 Executive Chef Samuel Jeffrey is French trained, so many of his dishes have classic nuances. Chef Di Cuisine, Edgar Sierra came out and sat with me, he explained how he tailored my dishes to me being by myself and wanting to have me try a wide variety of dishes, but all were made in small single tasting portions. 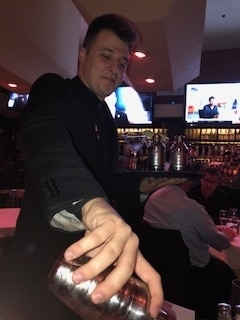 My server, the handsome Dave Babcock, has been with the restaurant since they opened, he loves his job and added a nice touch to my overall experience. 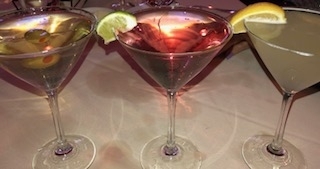 Traditional Vodka Martini, this is my jam, I love to start my meal with an oldie but goodie. 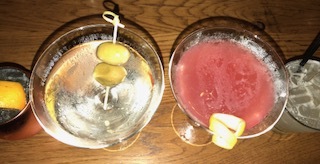 They gave me a sidecar, which I totally love! 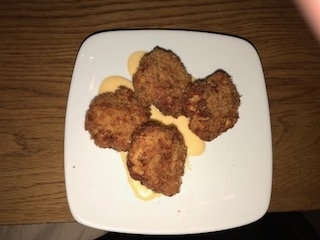 The olives are stuffed with Blue cheese. 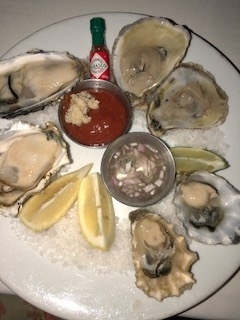 Assorted Fresh Oysters, on the half shell with prosecco mignonette. 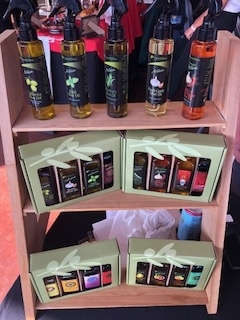 A nice assortment, every single one was fresh and just astounding. 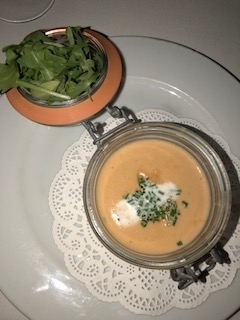 Blue Point Lobster Bisque, with sherry and creme fraiche. 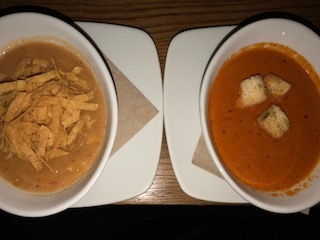 This is one of my favorite soups, but Blue Point Coastal nailed it. 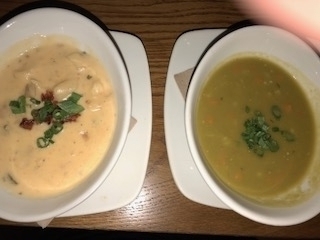 Really the best bisque ever. I would just go back to enjoy this soup again and order nothing else. 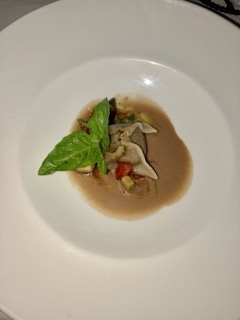 Wild Mushroom Ravioli, with port wine truffle sauce. Its kind of sweet, with a dash of what tasted to me like vinegar, truly delicious. Seared Day Boat Scallops, potato galette, green apple, arugula, shaved asparagus, pomegranate, and champagne citrus gastric. OMG, just delightful, a perfect scallop dishes. 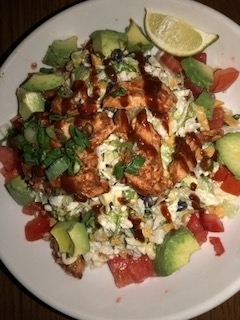 Peppercorn Ahi & Blackened Shrimp, with basmati rice, creamy spinach, asparagus, avocado cilantro coulis, and honey balsamic reduction. 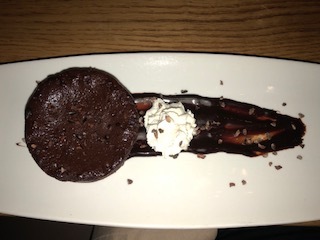 My fantastic server David said I had to try this, he was right, wow. 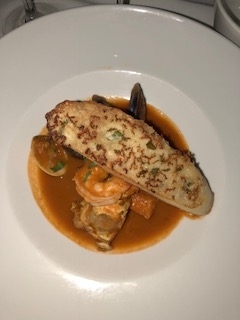 Cioppino, seabass, shrimp, king crab leg, clams, mussels, and a spicy tomato broth. This Cioppino has all of its bases covered, and the fish is just superb. 8 oz. Filet Mignon, garlic mashed potato, summer vegetable, and honey ancho pepper sauce. 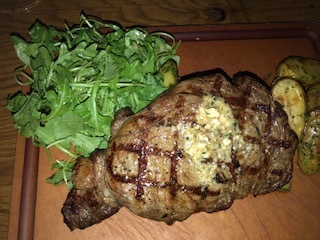 There is just nothing that is bad here; every dish was tasty and perfect, including this steak! Herb Crusted New Zealand Rack of Lamb, spicy lamb sausage, Japanese eggplant, and flageolet beans. The lamp was cooked rare, and the beans are just the best part of this dish. Red King Crab, again nothing here is disappointing, these were truly amazing. Creamy Spinach With Homemade sausage. 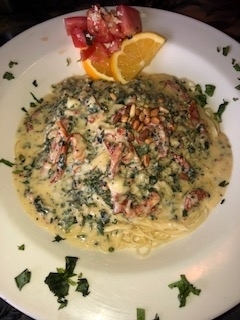 I loved the spinach in this dish. They make their own bread daily and it has survived 3 different chefs. 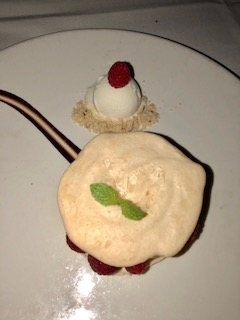 Raspberry Macaroon, citrus mousseline, and cheesecake ice cream. You need a knife to cut threw this glorious huge cookie. 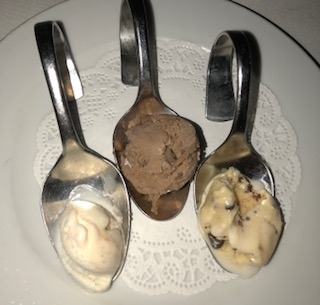 Ice Cream Plate, chef’s selection of three housemade ice creams. 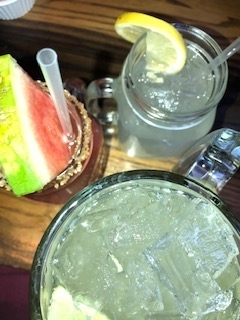 These were refreshing and a perfect way to cleanse my palate. 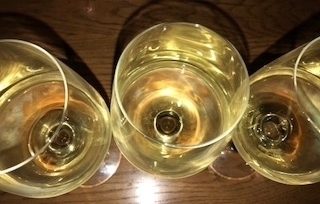 Chardonnay, Dry Creek Estate Block 10, Russian River – 2016. This wine goes with any of the seafood dishes, but I liked it with the fresh oysters the best. 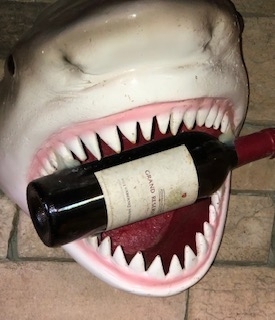 Chardonnay, Ferrari-Carano, Sonoma – 2016. One of my favorite Chardonnays, you have to try this with the crab, and the Cioppino. 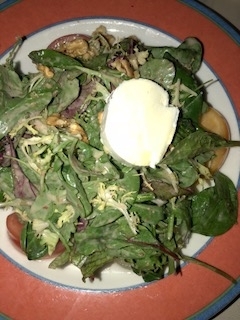 Zinfandel, Neal, Napa Valley – 2015. Well of course this wine would be perfect with the Steak or the Lamb, its fruity and add a nice balance with the meat dishes. I am telling you hands down, just the best food of my trip. 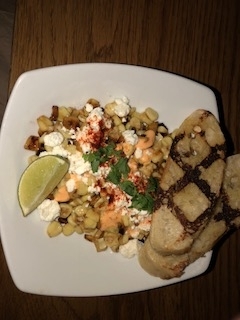 Take my advice and try this glorious Seafood restaurant in the Gaslamp district, like me you will want to make Blue Point Coastal Cuisine your new destination restaurant in San Diego.